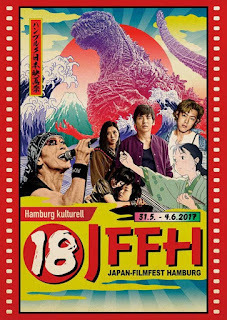 The film is based on Kenji Yamauchi’s own stage play, titled Trois Grotesque, which was the winner of the 59th Kishida Drama Award. Set as a stage play, the film takes place solely on a terrace of an aristocratic house, as the party held there by the Soejimas is coming to an end. The remaining guests, most of whom are already half-drunk, start gathering at the terrace: Haruko Saito, a woman with very white skin and hands that every man present seems to admire. Kazumi Soejima, the hostess, who seems to be a little jealous of Haruko. Tanoura, a young engineer working for Toyota, who seems to admire more than Haruko’s hands. Taro Saito, Haruko’s husband, a very elegant man. Mr Soejima, the host, who also seems to like Haruko. Masato Saito, a man who used to be 90 pounds, but is now thin. Lastly, and after some time, Teruo Soejima, the son of the hosts, makes a late appearance. As alcohol seems to take control of most of the people present, thoughts and words that wouldn’t come out otherwise, fall on the table, creating tensions and revealing secret agendas and actual characters. Mrs Soejima’s jealousy takes the better of her, and eventually starts an oral fight with Haruko, who insists that her hostess is better looking, particularly due to her large bosom, that Mrs Soejima has taken care of presenting in all its grandiosity. Tanoura is mocked for liking Haruko, and proves a lousy drunk, as he is constantly crying, occasionally for no apparent reason. Mr Soejima starts flirting openly with Kazumi, while Masato seems to have health problems due to his rapid loss of weight, and starts fading repeatedly. Taro seems not to be bothered by the fact that everyone seems to lust on his wife, since he has an agenda of his own. Teruo’s appearance, who also seems to know Kazumi, complicates things even more as he reveals the true character of his father, and vice versa. The acting of the movie is on a very high level, but two are the performances that stand apart, both from actresses that were also present in "Her Father, My Lover". 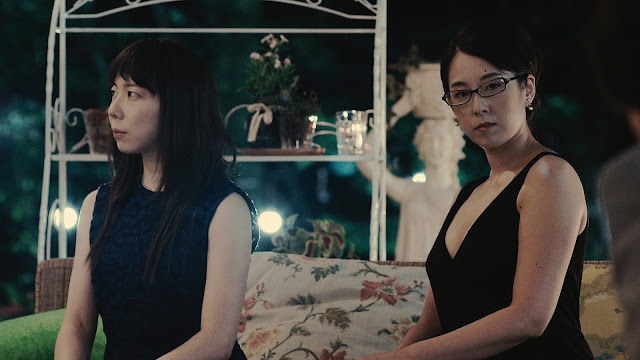 Kei Ishibashi as Kazumi Seojima elaborately portrays a neurotic, spoiled, and insecure woman, who, despite being one of the two sober people on the terrace, occasionally acts as the most drunk of all. Kami Hiraiwa as Haruko is also great as a woman that has to face Mr Seojima’s advances, her husband pretending not to realize the fact, and Ms. Seojima’s attacks. The two moments she actually gets angry are the highlights of her performance. Ryuta Furuta as Saito and Atsushi Hashimoto as Teruo have relatively small parts, but all the shocking occurrences of the ending are centered on their characters, and in that fashion, they give fitting performances. Kenji Iwaya as Mr. Soejima does a great job on revealing his seemingly noble character’s true, despicable nature. 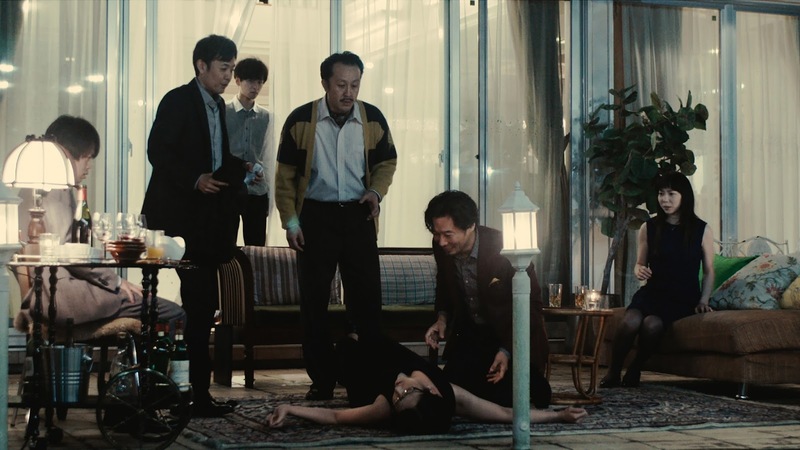 The film may be on a single location, but cinematographer Kiyoaki Hashimoto had much work to do, since the camera movement is constant, as it focuses on the person talking each time. In that fashion, he did a wonderful job, not lagging these changes even for a second, and retaining the fast pace Yamauchi wanted the film to have. "At the Terrace" is a film that has much to say, and will definitely appeal to those who enjoy stage plays’ adaptations.